Since starting this site we have surprised ourselves and surpassed initial expectations in addressing so many varied areas of professional wrestling. We have described in detail the golden years of televised wrestling, where names like Pallo and McManus, Kellett and Nagasaki, and so many others became household names. 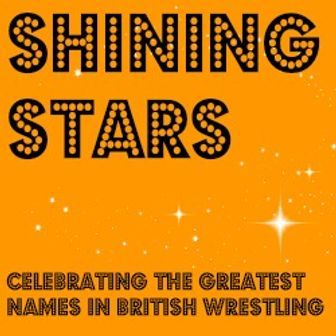 We have explored the preceding years, as Joint Promotions were founded and wrestling's two most influential, as described by this site, Jack Dale and Norman Morrell, contributed to building a tight nationwide network. We also unearthed in some detail the fifties trailblazing of Alan Garfield and other overseas pioneers. We acknowledge the pivotal role of Wigan's Snakepit gym, producing greats such as Karl Gotch, who went on to be a leading influence on Japanese wrestling, and we of course have carved our perhaps most notable niche in covering the key-role of the independent promotions in functioning as a breeding facility for the major promotions, in providing employment for disenchanted wrestlers, and in offering bills identified by larger than life characters. We consider the boom in tag wrestling and devote attention to wrestlers' work in overseas action, spearheaded by the prestigious German tournaments. In 2009 we have revived interest in our coverage of the famous publication Ringsport. After biding our time and after much deliberation and preparation, we now present to you one human link, one versatile and creative star who embodies the very essence of a professional wrestling career and encompasses every single aspect of the sport that we list above. That man is Johnny Kincaid, remembered by many as one of the Caribbean Sunshine Boys, but coming to the attention of Heritage writers more than a decade earlier in the mid 1960s smoke filled halls of the Northern independent promoters. Here amongst the weird and the wonderful, the rising and falling stars, was a rich seam of emerging talent that would one day become the household names of television wrestling. Think Saint, Marquette, Coneally, Green, Lapaque. Think Johnny Kincaid. Our attraction to the charismatic Caribbean born and bred in London began the night he partnered his long time friend Jim Moser against the ultimate villains Dominic and Casey Pye in an explosive tag match, modestly advertised as only a wrestling promoter could, as the World Heavyweight Tag Championship! In those days Kincaid was just starting out, eager to learn and build on everything he had been taught taking on all comers in fairground wrestling and boxing booths around the country. Following a baptism of fire against Johnny Hurley, an old pro who let Kincaid believe he was doing so well until an abrupt change of style sent the youngster back to the dressing room nursing his wounds and vowing to do better next time. In the months that followed Johnny Kincaid was knocking on the doors of promoters around the country. Word got round and Jack Taylor, Danny Flynn, Fred Woolley, Lew Phillips, Orig Williams, Len Britton and Paul Lincoln were amongst the growing band of promoters who were quick to acknowledge that here was a man with a combination of looks, personality and skill that was destined to add up to star quality. Weighing around 12 stones at the time, Kincaid was soon matched with the biggest names on the independent circuit, not just against wrestlers of similar size but also against bigger men such as The Wild Man of Borneo, and maybe the biggest of them all, the giant 6'10” tall Texan, Ski Hi Lee. One man reluctant to recognise the potential of the youngster was the boss of the biggest promoters in the country, Jack Dale. Johnny Kincaid went to see Dale and asked for a trial but was told to go away and get more experience. He then wrote to Dale a second time and his letter was swiftly deposited in the bin. After a successful tour of Greece arranged by Mel Stuart, the impatient youngster took matters a step further and confronted Jack Dale again, demanding to know why it was that his letters were unworthy of a reply. Not wanting to lose face and admit that Johnny's letters had been ignored, Dale claimed that he had been about to reply and that he should leave his name in the office next door so that they could contact him shortly. A few weeks later Devereux Promotions asked Jack Dale if he could find a substitute, for a Salisbury main event against Jackie Pallo. With hundreds of wrestlers contracted to Joint Promotions Jack Dale could have found a suitable substitute with little difficulty. However, he saw an opportunity to rid himself of the pushy youngster by putting him in against Pallo and then politely telling him he lacked the experience for Joint Promotion bills. Things didn't go quite to plan. Pallo did defeat the youngster without too much trouble, but took a liking to Johnny and was also impressed with his work. The very next day Pallo phoned Jack Dale and told him not only did the young Kincaid have potential but that he thought Pallo against Kincaid could be a match worth repeating. Planning the following month's bills Dale decided to give the youngster a dozen or so bookings, but decided to test Pallo's word by matching him with the biggest names of the time. Mick McManus was high on the early days hit list, and took Johnny to one side following their first ring encounter to tell him that the match was the best he'd had in months. Six months after joining Joint Promotions Kincaid was given his first televised bout and was matched with McManus, an honour for the newcomer. See the pair hooked up, above. Johnny Kincaid was soon a well known figure on Joint Promotion bills throughout the south, but it wasn't until the following year, 1970, that he dyed his hair blond and Joint Promotion members in the north began to take notice. Wherever he went, and whoever he met, Kincaid made a big impression. Johnny Kwango asked Jack Dale to partner him with the newcomer (he even suggested the name The JKs), and over the years they partnered each other well over a hundred times. In May 1971 Kwango and Kincaid were matched with Mick McManus and Steve Logan in the main event of a Cup Final Day Spectacular from St Albans which also featured Kendo Nagasaki's televised debut against Wayne Bridges. Inevitably there were numerous highlights in a career that spanned well over 20 years. High on the list were appearances at the Royal Albert Hall. Not just the first time when he nervously entered the arena in front of five thousand fans and defeated Bob Kirkwood, but all the other times, including a memorable tag match against the Royal brothers. Other highlights included taking on Adrian Street and John Quinn (fortunately not at the same time) on his home turf in Bletchley, and wins over the biggest names in the business. In these two images see Kincaid tackling the St Clair brothers. In 1975 during his far eastern tour, John wrestled the Nepalese champion, Tommy Mendies, in front of 30,000 spectators. In Japan, he teamed with Johnny Eagles in tag and amongst his opponents were Antonio Inoki, who had famously drawn with Muhammad Ali. Controversy reared its head in 1978 when Johnny went into a tag partnership with Dave Bond as the Caribbean Sunshine Boys. By then Johnny was a master at working a crowd, but even he was surprised at the heat created by the pair of them, and eventually promoters decided it was in the best interests of wrestling and everyone's safety that the pair disbanded, after only eleven months as a team. “Sir Alan was facing Killer John Kowalski. Killer had a badly injured and heavily bandaged arm, of much discussion during the preliminaries with referee Max Ward. When the match started, Sir Alan pointed at the bandaging and protested to the crowd, 'If I go for his arm, you'll boo me, if I even touch his arm, you'll hate me.' He pararaded around the ring, complaining to the increasingly irate audience on all four sides. The more Garfield protested, the more they booed. Well, the whole of the first round was taken up without any physical contact and the heat was incredible. We remember the full-blown heavyweight of the eighties, Johnny's final decade in action, grappling with greats such as Pete Roberts, Kendo Nagasaki, Bridges, and many a visiting star. What a rambunctious hell-raiser he was, firing up the audience from the word go, providing blockbusting value for money all the way. We record title challenges as described on this site against Marty Jones at Beltless But Bouqueted. This represents one of the very rare occasions that a topline heavyweight's final bout had been starred for special attention, and was thus a rare tribute from the promoters. However, in true pro wrestling style, this proved to be a false finish to the colourful career, and he resumed grappling right up until the end of the decade. Previously we had witnessed a spectacular 1974 title-bout for the WWF World Championship in Hastings, see alongside, an early Brian Dixon promotion. His opponent was Kendo Nagasaki, a career-long adversary. Kincaid also achieved outright success in German tournament triumph, much to the chagrin of local stars used to having verdicts going their way, but to the delight of fellow Britons in the line-up. Another undoubted highlight in a glittering career occurred in 1980 with Johnny Kincaid's defeat of Swiss giant Rene Lasartesse for the European Heavyweight Title in Hamburg. Travelling the world was one of the great loves of Johnny Kincaid. Over the years he wrestled in thirty countries and we can think of no other who included Korea, Hawaii and Nepal in their travels. Johnny's tour of the Orient had been at the behest of Spanish Red Indian Billy Whitewolf. On these tours Johnny was proud to meet long-time legitimate world heavyweight champion of the world, Lou Thesz, and even to get to grips with legendary shooter Karl Gotch. The German tournaments were a highlight of most years, particularly in 1982 when Johnny won one of the prestiguous tournaments. Even though he enjoyed travelling the German tournaments allowed Johnny the luxury of being based in one city for up to a month at a time. How could we finish without making mention of this multi-faceted matman's literary skills? Sixties and seventies Kincaid bore a resemblance to legendary boxer Muhammad Ali, Cassius Clay. Not only did friends take to calling him Clay, John took the resemblance a stage further ... by composing several wittily entertaining poems about professional wrestling and his colleagues. When retirement fom the ring eventually came, Johnny turned his ebullient personality and business acumen to various fields, successfully running a number of hostelries in the Bedfordshire area and finding time to write an ethralling biographical account of his wrestling career, entitled Wrestling's Ringsdie Seat. In this volume you can read some of his poems - but we strongly advise you to corner "Clay" at one of the many reunions he attends and get him to perform one of the verses that was somewhat over the top for publication. Johnny has now completed his second book, purchase details below.